Dripping Springs Therapist: Tina Moody - Therapist 78620. Send A Message To Tina. Session Fees: $165 per private session or $75 for group session. 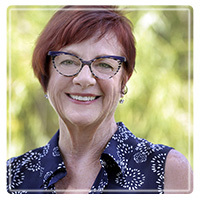 Life Practice is anchored by Tina Moody, an accomplished psychotherapist with more than 30 years experience in counseling adults, couples and group therapy. In addition to her clinical practice, Tina has served as a chaplain in hospitals, psychiatric facilities and prisons, as pastor for churches, as a teacher and as a therapist in the collaborative law process. She is co-author of Sweet Relief from the Everyday Narcissist and is an experienced public speaker. A graduate of Texas Tech University, Duke Divinity School, the Institute for Integrative Nutrition and The Fielding Graduate Institute, Tina has devoted her professional life to offering supportive guidance and expertise to individuals and couples who are confronting obstacles or transitions to fuller, richer, more fulfilling life. She believes each person has a unique blend of attributes that when realized, contributes invaluable gifts to family, friends, community and, perhaps most significantly, ourselves. Personal growth, education, authenticity, and respectful living continue to be her guiding motivation. Here's what she has to say about recovering from a relationship with a narcissist, one area of expertise reflected in her book, Sweet Relief from the Everyday Narcissist. "The experience of being in relationship with a narcissist is like the experience of being in the sun after having been cooped up inside. At first it warms you, feels good on the skin, entices you to want more. You may notice your skin changes color after a while, but you don’t worry about it. Other things claim your attention and you’ve gotten accustomed to the heat. But after you’ve been in the sun long enough, you begin feeling hot and itchy and tight. You may not be able to see the effects of exposure but your sense of self-preservation kicks in and you retreat from the glaring rays. Only then do you see the damage. What was the moment you got “too much sun” and realized you were in trouble? Living with narcissism can be hard to identify. All relationships have rocky times, but with a narcissist there will be forms of trouble that are inevitable. Reclaiming yourself is the key, the road may be long, a guide will be invaluable, but there’s shade along the way."